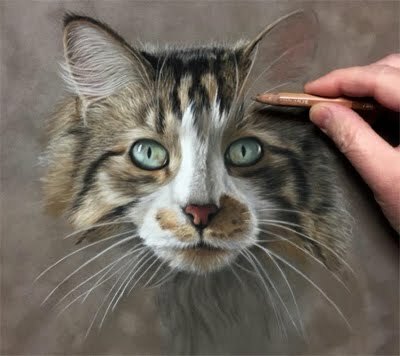 I really enjoy drawing or painting fur and this kitty's coat provided hours of enjoyment! 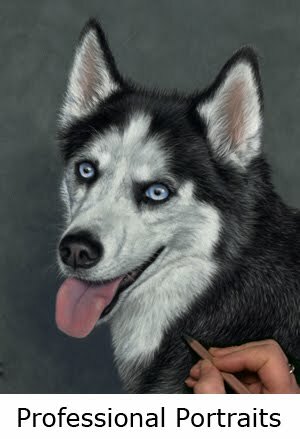 This commissioned kept me on my toes...the short fur on the face and muzzle and the long clumps and strands of fluffy wavy fur, some of it going in every which direction, oh, and of course the coat color are what made this project so interesting. Another refreshing challenge was having to create a profile pose which is not something clients usually chose since they like to look into their fur-baby's eyes as they gaze back at the viewer. Hilda, thanks so much for your kind words!! 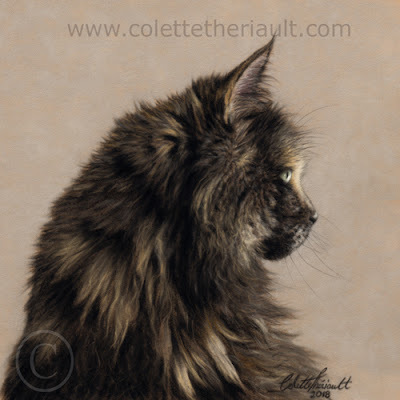 What an incredible job on this gorgeous tortie!! He looks so real. And that fur! Wowzers!! Spot on! Nancy, that you so much; happy to read that you like her! !